Me and Daniel met on our commute to work, having been introduced through a mutual friend we got to know each other and love blossomed after our first kiss. 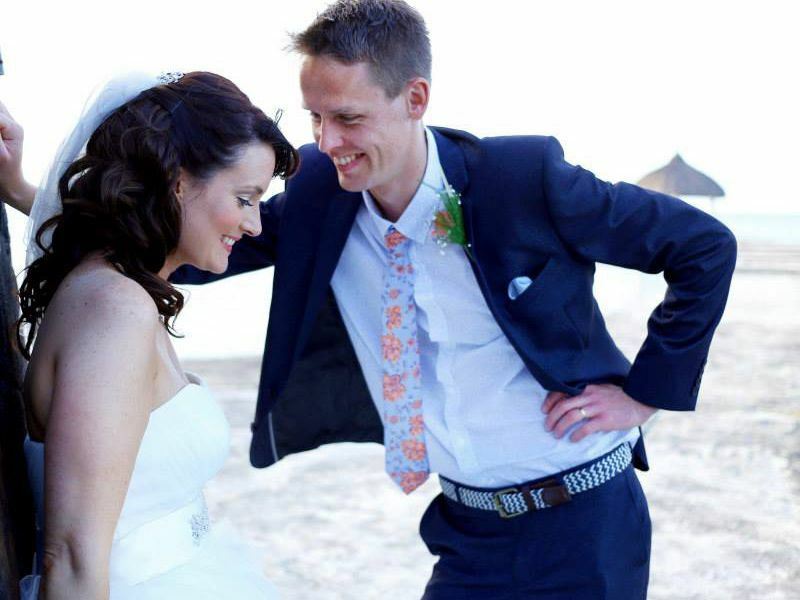 Daniel proposed in the romantic beach setting of the Imperial Marmaris Hotel, just before our 4 year anniversary. It was all very romantic, at a small, quiet, candle lit beach bar. After the proposal talk soon turned to our dream wedding and what we both wanted for our big day. We decided to get married overseas because of the great sunny weather, the scenery and also because of the price. 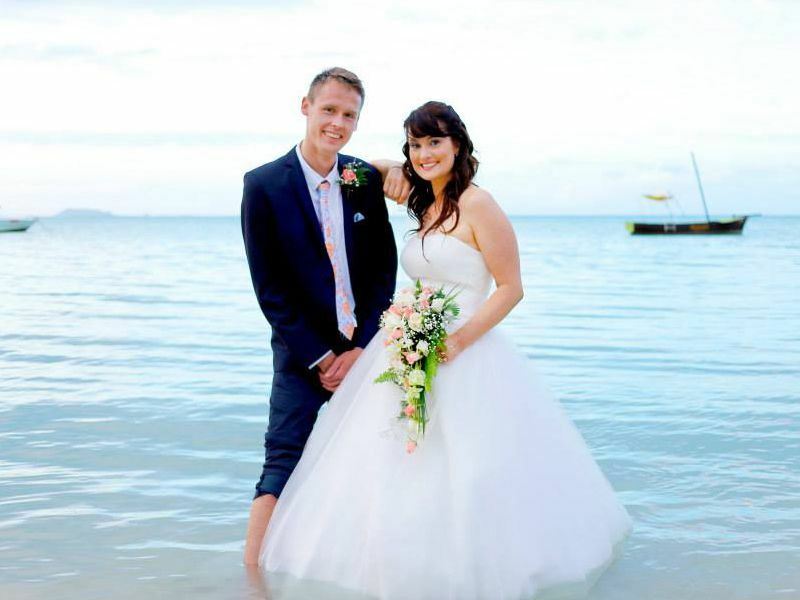 We really wanted somewhere exotic, preferably an island, with blue waters, sandy beaches and beautiful flowers, it was also important it was somewhere that was easy for a UK Citizen to legally marry so Mauritius fit the bill perfectly. 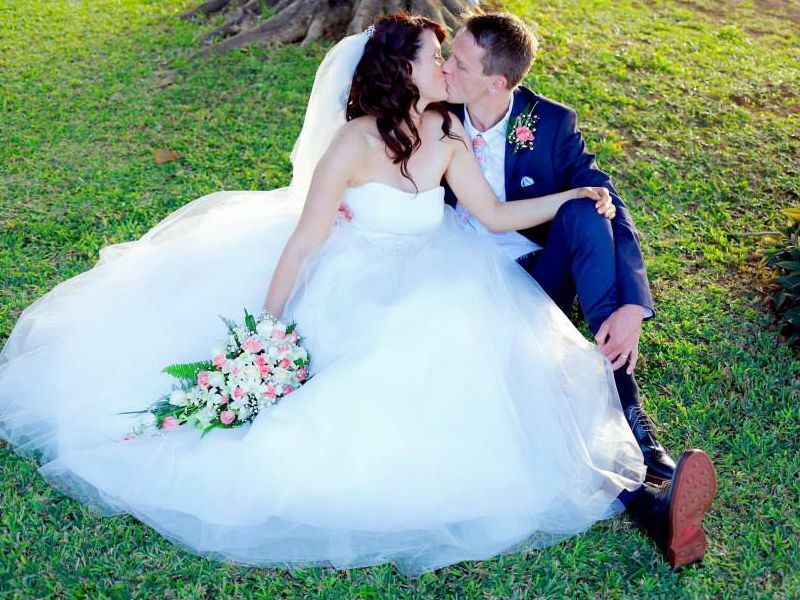 We booked our wedding through Tropical Sky Weddings, who assisted with the arrangements and booking. We also had a wedding planner at the Veranda Paul at Virginee Hotel, called Veronique who helped with any other arrangements. 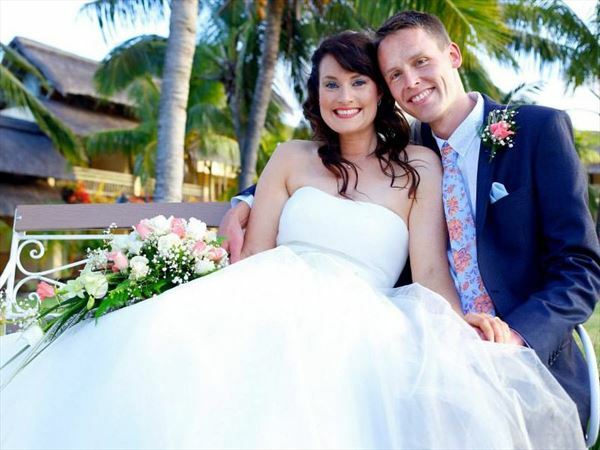 Tropical Sky were so helpful with all the planning and travel arrangements, putting together a great package for us for our dream day. Arranged by Tropical Sky Weddings and Veronique, our ceremony took place on the gazebo, dressed with white drapes and garden flowers overlooking the beautiful picturesque bay. We then had our own private romantic dinner in the restaurant on the jetty, St German, which the hotel closed just for us. Followed by drinks at the bar with people we had met, including Ruth and Mark, our witnesses, who happened to be on their honeymoon. Thank you to Jordan and Karen at Tropical Sky Weddings for all their hard work planning our perfect day.